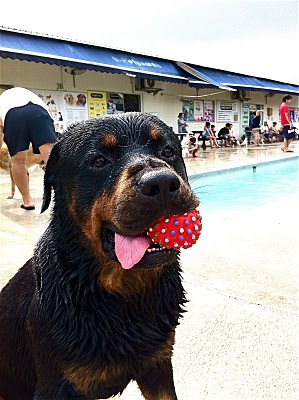 Bear Bear the Fearsome Rottie: Rottie's as great family dogs. Its rare to come by an article about how great Rotties are... even though there are several parts I would probably disagree with like how Rotties are prone to aggressiveness. Thank you Aunty Yannie for pointing out this Article! whr is this swimming pool?